Follow former MLB player Brett Jackson's journey from professional sports to his career in performance science – and learn how he's using Naked to optimize his new routine and get the most out of his workouts. Brett Jackson grew up with a bat and glove in hand. A young athlete-in-the-making, he joined soccer, tennis, baseball, football, basketball, swim team – pretty much any sport under the sun, he played it. Although Brett didn’t start training seriously for baseball until high school, he always wanted to be an MLB player. I decided when I was 5 years old that I was going to be a big leaguer, and I just kind of believed in that dream until it was true. By the time Brett started high school, he’d chosen to focus on football and baseball, and he knew baseball was where he was headed: “I was the best at baseball, and I loved it the most.“ At that point, he started to really recognize the amount of work – both on the field and off the field – he would have to put in to realize his MLB dream. The moment I got the call to go up to the Majors, it was an I-can’t-put-it-into-words sort of feeling. Called my parents, and it was just tears on both ends. Even though Brett seemed unshakeable in his self-confidence and determination to reach his goals, he spent a grueling three years going through the Minor League before getting called up to play for the Cubs. It was a struggle at times. You realize how many guys are trying to actualize the same dream. But I had come too far to not believe in myself, so I just kept working and kept believing. From 2009-2012, Brett traveled the United States as a Minor Leaguer playing for teams in Boise, Idaho, Peoria, Illinois, Daytona Beach, Florida, Knoxville, Tennessee, eventually working his way up to AAA in Des Moines, Iowa. From there, he was called up to the Cubs, where he spent the 2012-2014 seasons. He spent some time with the Diamondbacks and the Giants before retiring from baseball due to a shoulder injury in 2015. Baseball is known for having one of the most grueling schedules of all the pro sports leagues. There are 162 games per season, which usually stretches on for 240+ days. For the players, this translates to a whopping 8 months on the road, taking long bus or plane trips, going from hotel to hotel, and playing nearly every day, sometimes twice a day. Over the course of all these games, players amass a host of little cuts, bruises, scrapes, twisted ankles, and nagging injuries that tend to add up over time. The only chance to stay healthy was to treat it like a job in addition to performing well on the field. Training was my job. Eating was my job. Sleeping was my job. Despite the beating he put on his body over the course of his career, Brett was lucky to never suffer a serious injury until the 6th and final year of his career. He attributes his ability to stay healthy to the focus and effort he put into training, eating healthy, and prioritizing sleep. 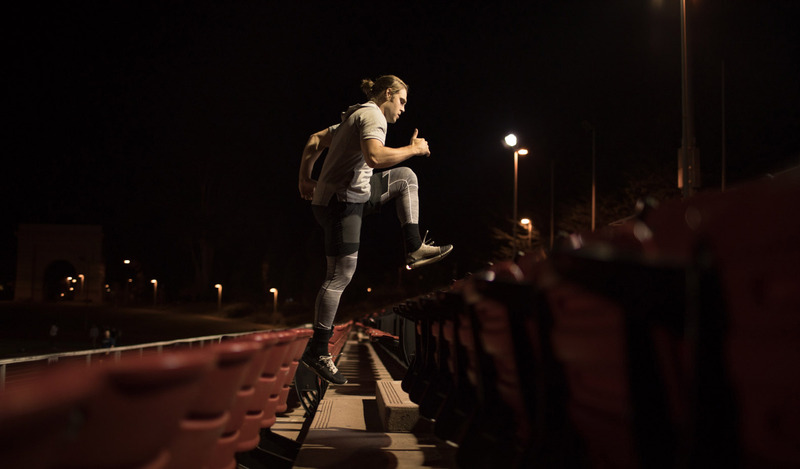 Although he didn’t realize at the time that it was a field he would later pursue a career in, Brett worked with the performance science team at Sparta to ensure that he was training properly (and safely!) for his body, as well as addressing any imbalances or issues that could have led to injury. After leaving baseball, Brett found himself looking for the next opportunity. Always in search of a challenge, he wanted to find the next hurdle to overcome, the next goal to conquer. 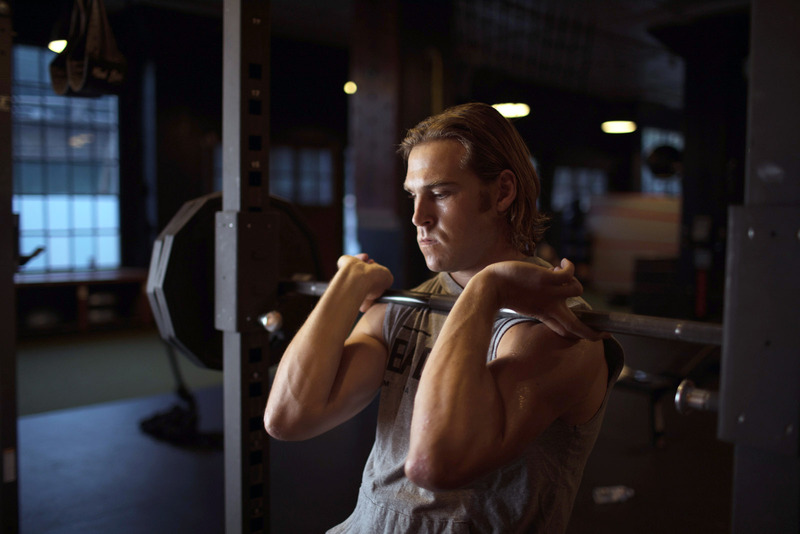 When I came out of baseball, what I knew best was how to work on my physical body. I used training as a way to ease the transition, focus on the things I knew, and continue to push myself. It ended up being one of the fittest periods of my life. It was during this adjustment period in his life that Brett joined Naked’s beta program. With the goal in mind to see just how fit and lean he could get, Brett began training in earnest, and we began tracking his progress with routine scans. 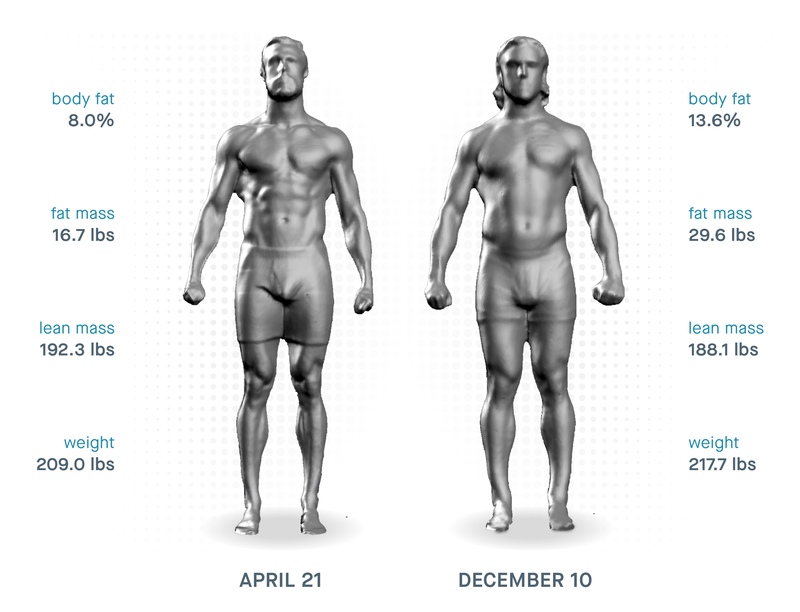 Over the course of three months, Brett followed a strict Keto diet supplemented with Bulletproof coffee, regular weight training and cardio, and a dedication to staying active and getting adequate rest. 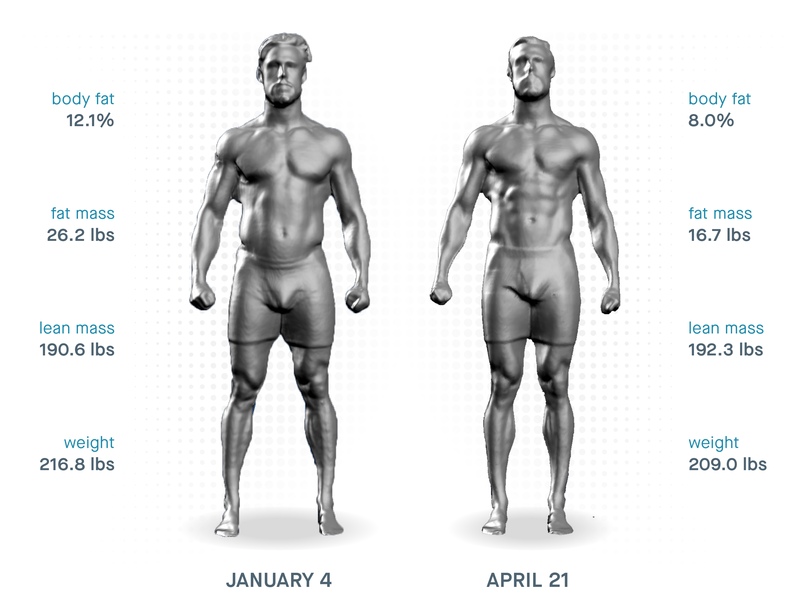 Over the next three or four months, Brett reduced his body fat by 4%, cut his fat mass by 10 lbs., and still managed to gain lean mass in the process. It was a strict routine to maintain, but I could see in the scans how much progress I was making, and that helped me stay motivated – I just had to stick with it. Brett’s advice/thoughts on this period in his life. Looking back at how Naked helped Brett stay on track during one of the fittest periods in his life, Brett plans to use Naked going forward to help him optimize a different routine with an exciting new job consuming his days. His goal is to use data to look objectively at his health and well-being so he can achieve that work-life balance everyone is chasing. Looking back at my scans, it gives me confidence. I know exactly what I was doing in that moment in time to achieve those results. I know how to get back there if I want, and I can take portions of that routine to augment what I am doing now in service of my new goals. Brett ended up combining his passion for biohacking and his natural ease around others into a career with the company that had helped him stay healthy for all those years in the Minor and Major Leagues. Brett’s goal is to use his experience optimizing his own training routine and avoiding injury to help other high-level athletes do the same. Body and mind feed each other, and training has become a lot more about how I feel, how my mind responds to exercise and diet. It’s still about performance, just in a different way. I’m looking to achieve less out of my physicality, but more through it. Brett’s story highlights the sort of ups and downs that characterize life, including how our bodies go through that journey with us, for better or for worse. Injuries, setbacks, triumphs, new relationships and new jobs, new routines – these are the things that make up a life. Goals are made to be dreamed and hopefully achieved, but ultimately, those change too as our lives and our priorities morph. Whatever the destination is, what’s clear is that much of the value lies in the journey.